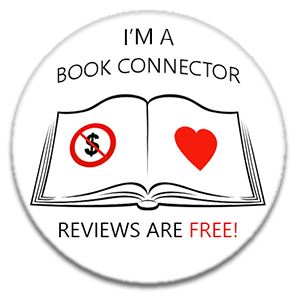 Hello, my bookish friends. I can’t quite believe today is the last day of January. Normally January is a long, tortuous, grey month but I have to say, it’s been kind of OK for me and the blog this year! I hope you’ve had a good January featuring lots of fabulous books. I’m always looking for recommendations so if you’ve read something rather extraordinary then please let me know in the comments section below. So, what treats did January hold for damppebbles? #R3COMM3ND3D2017 reached its conclusion and the series ended with a bang on my blogiversary with one of my favourite bloggers, Gordon Mcghie of Grab This Book. If you missed any of the posts then you can catch them all on the R3COMM3ND3D tab at the top of this page. There you will also find the form for #R3COMM3ND3D2018, so once you’ve found three must-read titles published this year, pop back and fill in the form (😉). On 14th January I had my second blogiversary and offered up probably the biggest prize you will ever see on damppebbles (until next year when I try and come up with something even BIGGER!). The lucky winner was Sonya Alford who blogs over at A Lover of Books. If you haven’t discovered Sonya’s wonderful blog yet then you must do. Although, she may not be posting for a while after receiving this HUGE book haul (plus an eBook which you can’t see, plus another five paperback books to be sent separately!). My thanks to Orenda Books, Fahrenheit Press, Jackie Baldwin, Anne Coates, Abigail Osborne and A.C. Hutchinson for their very kind and generous offerings to the prize bundle. You guys made my blogiversary extra special ❤. I don’t feel as though I have read enough this month so I’m aiming to really increase the amount of time I spend reading in February. I have lowered my Goodreads challenge target from the usual 100 to 75 this year to take some of the pressure off but I feel as though I’ve already fallen behind. Not good! Any words of advice would be greatly appreciated. So far this month I have rated FIVE books as FIVE sparkling star reads. A month of excellent reading, I’m sure you will agree! Most months consist of a couple of five-star reviews here and there, which normally make my choice of Book of The Month rather easy. But not this month. So many stand out reads. But I have made a choice and my book of the month is….. Here it is…The Chalk Man by C.J. Tudor! This is another crime/horror crossover which ticked all the boxes for me. I still can’t get over the fact this is the author’s debut and it was plucked from the slush pile! Never lose hope budding authors, NEVER lose hope! I just loved this book from start to finish and I’m currently pining for the lead character, Ed. As months go, January 2018 has been an exceptional month for me as I have loved every single book I have read. I hope this continues into February which I’m sure will start with a bang as I am currently reading the third Jake Boulder novel from Graham Smith and Bloodhound Books and absolutely blinking loving it! My blog tour post is scheduled for 3rd February so don’t miss it! So long January 2018, thank you for being a little bit nicer than other Januarys. I hope, dear followers, that your Februarys are full to the brim of fabulous books. I’ve also cut down on my Goodreads challenge for 2018. Mine is also 100 books for this year. I’ve made a good start, but busy times ahead. Good luck with yours, Emma. I’m glad you’re doing a R3COMM3ND3D2018 Emma. I forgot to do mine last year. So glad you had a good reading month and happyblogiversary!